The New York City Opera (NYCO) is an American opera company located in Manhattan in New York City. The company has been active from 1943 through 2013 (when it filed for bankruptcy), and again since 2016 when it was revived. During its 70-year-plus history, the NYCO has helped launch the careers of many great opera singers including Beverly Sills, Sherrill Milnes, Plácido Domingo, Maralin Niska, Carol Vaness, José Carreras, Shirley Verrett, Tatiana Troyanos, Jerry Hadley, Catherine Malfitano, Samuel Ramey, and Gianna Rolandi. Sills later served as the company's director from 1979 until 1989. More recent acclaimed American singers who have called NYCO home include David Daniels, Mark Delavan, Mary Dunleavy, Lauren Flanigan, Elizabeth Futral, Bejun Mehta, Robert Brubaker and Carl Tanner. NYCO has similarly championed the work of American composers; approximately one-third of its repertoire has traditionally been American opera. The company's American repertoire has ranged from established works (e.g., Douglas Moore's The Ballad of Baby Doe , Carlisle Floyd's Susannah , and Leonard Bernstein's Candide ) to new works (e.g., Thomas Pasatieri's Before Breakfast and Mark Adamo's Little Women ). NYCO's commitment to the future of American opera was demonstrated in its annual series, Vox, Contemporary Opera Lab, in which operas-in-progress were showcased, giving composers a chance to hear their work performed by professional singers and orchestra. The company has also occasionally produced musicals and operettas, including works by Stephen Sondheim and Gilbert and Sullivan. The company's first season opened in February 1944, and included productions of Giacomo Puccini's Tosca , Friedrich von Flotow's Martha and Georges Bizet's Carmen , all of them conducted by Halasz. 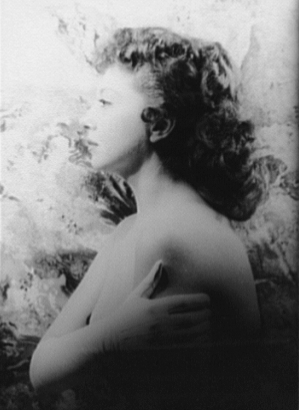 Several notable singers performed with the company in the first season, including Dusolina Giannini, Jennie Tourel and Martha Lipton, who was immediately poached by the Met after their NYCO debuts. Other notable singers Halasz brought to the NYCO included Frances Bible, Adelaide Bishop, Débria Brown, Mack Harrell, Thomas Hayward, Dorothy Kirsten, Brenda Lewis, Eva Likova, Leon Lishner, Regina Resnik, Norman Scott, Ramón Vinay, and Frances Yeend. In 1945, the company became the first major opera company to have an African American performer. This was in the production of Leoncavallo's Pagliacci , with Todd Duncan's performance as Tonio. Lawrence Winters and Robert McFerrin were other notable African American opera pioneers to sing with the company during this period. The first African American woman to sing with the company was soprano Camilla Williams, as the title heroine in Madama Butterfly in 1946. Winters and Williams later went on to sing the title roles in the most complete recording made up to that time of Gershwin's Porgy and Bess , for Columbia Masterworks Records in 1951. On the business side, the opera underwent tremendous change under Steel's tenure, which both balanced the budget and extended the life of the company. These changes led directly to the opera's first balanced budgets in an over a decade and a sold-out 2011–2012 season. Some of the steps Steel took in his efforts to save the company aroused controversy, including a contentious, but ultimately successful, contract negotiation with the labor unions representing the orchestra and the singers,  and the departure of the opera from Lincoln Center out of financial necessity. While the company had for more than a decade discussed publicly the idea of leaving Lincoln Center,  the company's ultimate departure, driven by the financial reality that the opera would otherwise have to close, was met alternately with praise and scepticism. Notwithstanding artistic successes, record fundraising, and dramatic changes to the company's business model, the opera ultimately succumbed to bankruptcy. ↑ Wakin, Daniel J. (May 23, 2011). "City Opera Departure Brings Questions". The New York Times. ↑ Wakin, Daniel J. (December 6, 2011). "City Opera Leaving Lincoln Center". The New York Times. ↑ "2011–2012 Season and Tickets". New York City Opera. Archived from the original on November 11, 2011. Retrieved November 8, 2011. ↑ Cooper, Michael (September 29, 2013). "Veterans of City Opera, Proudly Wistful, Reflect as the Curtain Falls". The New York Times . Retrieved October 7, 2013. ↑ Cooper, Michael (October 7, 2013). "New York City Opera Announces It Will Close". The New York Times. Retrieved October 1, 2013. 1 2 3 4 5 6 Michael Cooper (January 12, 2016). "New York City Opera Will Return, and Soon, Under Reorganization Plan". The New York Times . 1 2 3 4 5 Stephanie Gleason (January 12, 2016). "Judge OKs City Opera's Revival Plan". The Wall Street Journal . 1 2 3 Michael Cooper (November 11, 2015). "Effort to Revive City Opera Includes a Tosca Staging". The New York Times . ↑ Michael Cooper (December 2, 2015). "A Group Cedes Its Bid to Revive City Opera to a Rival". The New York Times . ↑ Tommasini, Anthony. "Beverly Sills, All-American Diva With Brooklyn Roots, Is Dead at 78", The New York Times , July 4, 2007. Retrieved November 6, 2007. 1 2 3 4 Allan Kozinn (October 31, 2001). "Laszlo Halasz, First Director Of City Opera, Is Dead at 96". The New York Times. Retrieved May 18, 2009. 1 2 "Strauss Created New Orchestra in Writing His Operad Ariadne". Montreal Gazette . November 26, 1946. ↑ Rebecca Paller (October 12, 2006). "Homecoming". Playbill . Retrieved December 13, 2011. ↑ "The Love for Three Oranges: A Slaphappy Fairy Tale Makes a Smash-Hit Opera", Life Magazine, November 1949. 1 2 "New Man at the Center". TIME . January 9, 1956. Retrieved May 18, 2009. 1 2 Allan Kozinn (July 25, 1993). "Classical Music; City Opera Turns 50, But Who's Counting?". The New York Times. Retrieved May 18, 2009. ↑ Howard Taubman (November 4, 1956). "Cliff Hanger; Peril and Heroics Mark Story of City Center". The New York Times. Retrieved May 18, 2009. 1 2 3 Anne Midgette (October 19, 2006). "City Opera's Great Innovator Returns, Baton at the Ready". The New York Times. Retrieved May 20, 2009. ↑ Robin, William (March 2, 2016). "Protecting Alberto Ginastera From Oblivion" . Retrieved May 12, 2017– via NYTimes.com. 1 2 3 Anthony Tommasini (July 2, 2007). "Beverly Sills, Acclaimed Soprano, Dies at 78". The New York Times. Retrieved May 20, 2009. ↑ "Obituaries: John Simon White". Opera News . February 2002. 1 2 James R. Oestreich (October 9, 1995). "Christopher Keene Is Dead; Head of City Opera Was 48". The New York Times. Retrieved May 20, 2009. 1 2 Anthony Tommasini (January 4, 2009). "Toward A Leaner, Bolder City Opera". The New York Times. Retrieved May 20, 2009. ↑ Daniel J. Wakin (September 15, 2005). "Paul Kellogg to Quit as Head of City Opera". The New York Times . Retrieved May 20, 2009. ↑ "Fresh Faces". The New Yorker. Retrieved May 12, 2017. ↑ Anthony Tommasini (May 6, 2007). "At City Opera, An Innovator Bows Out". The New York Times. Retrieved July 21, 2010. ↑ Anthony Tommasini (December 30, 2001). "The Year in Review: Of Necessity, Thoughts Turned To Purpose And Relevance". The New York Times. Retrieved July 21, 2010. ↑ Anthony Tommasini (January 3, 2010). "Ten Years of Opening the Tent". The New York Times. Retrieved July 21, 2010. ↑ "The Week Ahead: April 26 – May 2". The New York Times. April 26, 2009. Retrieved May 20, 2010. ↑ Tommasini, Anthony (May 5, 2006). "At Vox 2006, City Opera Presents Excerpts From Works in Progress". The New York Times. Retrieved May 20, 2010. ↑ "Following Mortier Fallout, New York City Opera Retains Turnaround Adviser Michael Kaiser". Opera News . November 20, 2008. Retrieved December 14, 2008. ↑ Philip Boroff (June 1, 2009): "New York City Opera Ran Up $11 Million Deficit as Sales Dropped", Bloomberg L.P.. Retrieved on June 6, 2009. 1 2 Daniel J. Wakin (January 14, 2009). "City Opera Names Steel as General Manager". The New York Times . Retrieved January 15, 2009. ↑ "City Opera Names Steel as General Manager". The New York Times . Retrieved 2016-01-20. 1 2 3 Maloney, Jennifer (2013-09-27). "Drama Behind City Opera - WSJ". Online.wsj.com. Retrieved 2016-01-20. ↑ "New York City Opera's Recent History". The New York Times . Retrieved 2016-01-20. ↑ "Ransacking the Endowment at New York City Opera". The New York Times . Retrieved 2016-01-20. ↑ "Bold Impresario and City Opera Part Ways". The New York Times . Retrieved 2016-01-20. ↑ "Paul Kellogg to Quit as Head of City Opera". The New York Times . Retrieved 2016-01-20. ↑ Tommasini, Anthony (April 20, 2011). "'Séance on a Wet Afternoon' at City Opera - Review" . Retrieved May 12, 2017– via NYTimes.com. ↑ "Opera News - Struggling New York City Opera Announces Intention to Depart Lincoln Center". www.operanews.com. Retrieved May 12, 2017. ↑ "New York City Opera and Union Reach Deal". The New York Times . Retrieved 2016-01-20. ↑ Tommasini, Anthony (2003-08-19). "Critic's Notebook – A Chance For Opera, The City and City Opera". The New York Times . New York City. Retrieved 2016-01-20. ↑ "City Opera Might Do Best at City Center". The New York Times . Retrieved 2016-01-20. ↑ "New York City Opera to shut down after failing to meet $7m funding goal". The Guardian. Retrieved October 2, 2013. ↑ "New York City Opera To File For Bankruptcy". Billboard. Retrieved October 2, 2013. ↑ "Chronicle Of A Death Foretold: New York City Opera Shuts Its Doors". NPR, Morning Edition . Retrieved October 2, 2013. 1 2 "Plan to Revive New York City Opera Has Creditors Backing". The New York Times . Retrieved 2016-01-20. 1 2 3 Smith, Jennifer (2015-01-16). "New York City Opera Suitors Prepare Bids". Wsj.com. Retrieved 2016-01-20. 1 2 3 4 Smith, Jennifer (2015-11-01). "Rival Visions to Reboot New York City Opera Detailed". Wsj.com. Retrieved 2016-01-20. ↑ "Hedge fund manager Roy Niederhoffer promotes New York City Opera in European tour this and next week – Roy Niederhoffer". Opalesque.com. Retrieved 2016-01-20. ↑ Jennifer Rivera (2014-12-09). "An Interview With the Man Now in Charge of Reviving New York City Opera". Huffingtonpost.com. Retrieved 2016-01-20. 1 2 3 4 "New York City Opera's resurrection may be right". philly.com. Retrieved May 12, 2017. ↑ "Reviving the New York City Opera". The New Yorker . Retrieved 2016-01-20. ↑ "Reviving City Opera with a nod to past". asianage.com. January 22, 2016. Retrieved May 12, 2017. ↑ Woolfe, Zachary (March 18, 2016). "Review: New York City Opera, a Quiet 'Sunday Morning'" . Retrieved May 12, 2017– via NYTimes.com. ↑ Desk, BWW News. "New York City Opera to Present NY Premiere of Hopper's Wife This Spring". broadwayworld.com. Retrieved May 12, 2017. ↑ Smith, Jennifer (February 22, 2016). "Rebooted New York City Opera Plans Three Premieres" . Retrieved May 12, 2017– via www.wsj.com. ↑ Cooper, Michael (February 22, 2016). "New York City Opera Unveils Rest of Season" . Retrieved May 12, 2017– via NYTimes.com. ↑ News, ABC. "Entertainment Index". ABC News. Retrieved May 12, 2017. ↑ Cooper, Michael (March 9, 2016). "Beer Bottles, Graffiti and Puccini: The LoftOpera Formula" . Retrieved May 12, 2017– via NYTimes.com. ↑ "Spring Classical Music Preview". The New Yorker. Retrieved May 12, 2017. ↑ "Piranhas and Cholera Are No Match for a Diva". observer.com. June 23, 2016. Retrieved May 12, 2017. ↑ Waleson, Heidi (June 27, 2016). "'Florencia en el Amazonas,' 'Patience & Sarah' and 'Le Comte Ory' Reviews" . Retrieved May 12, 2017– via www.wsj.com. ↑ "New York Classical Review". newyorkclassicalreview.com. Retrieved May 12, 2017. 1 2 Desk, BWW News. "New York City Opera to Open Season with Aleko & Pagliacci Double Bill". broadwayworld.com. Retrieved May 12, 2017. ↑ Tommasini, Anthony (September 9, 2016). "Review: Signs of Rebirth at New York City Opera" . Retrieved May 12, 2017– via NYTimes.com. ↑ ZEALnyc (September 15, 2016). "New York City Opera Presents a Historically Interesting Double-Bill of 'Aleko' and 'Pagliacci'". huffingtonpost.com. Retrieved May 12, 2017. New York City Opera Sings Stories and Productions of the New York City Opera, 1944–79. 1981. ISBN 978-0-8239-0544-7. "New York City Opera collected news and commentary". The New York Times .